This last step might be obvious but it is the most important. Results! The point of all of this is results so they should be highlighted and celebrated. I know that in the long run, I might not see results every week but the goal is to lose a 100 pounds. This is not simply for the reason of looking good, fitting into clothes better etc. It is about my health and how I would like to live my life. My husband and I have a goal of retiring as soon as possible and then travel the world. We want to make sure we spend as much time together as we possibly can and that means that I need to take my health seriously. As I have written in previous posts, I have high cholesterol. That in itself is not killing me at this very moment but it can in the long run. Especially, with my family history, it is important that I take that seriously as it could shorten my life significantly or decrease my life quality in such a way that I would not be able to enjoy the things that I look forward to the most. Although, this is a great motivation in itself, it is at times not enough, so I have set up a few small rewards each time I hit my goals. As my first main goal is 30 pounds with 5 pound intervals I have come up with 6 rewards to begin with. So below I have listed the desired pounds with the reward next to it. 248 lb – New summer workout capri pants. The ones I have, all have wholes in them and some of them are not really that comfortable and convenient. 243 lb – It might seem odd but I love being organized, so cleaning out of my clothes is actually a treat. 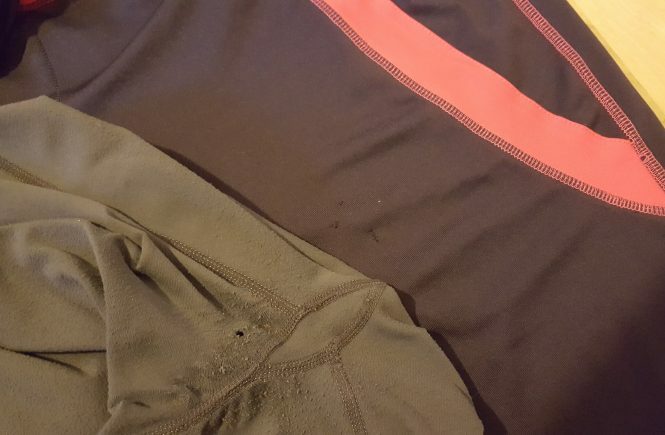 Yes, I want to sort my clothing and find out which I need to get rid off and which I still love and use and which I think I would want when I have lost my weight. This should be fun and I will make sure to post about the fun times. 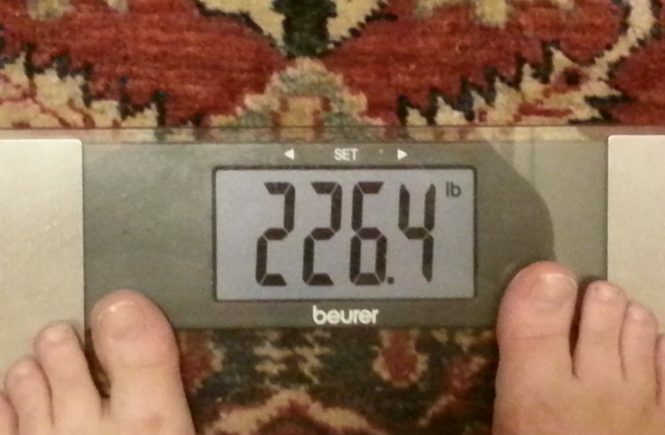 238 lb – My feet seriously needs some love, so I will get some products that can help me out when taking care of my feet. 233 lb – Gloves for working out. I am making use of bar and dumb bells more and more and it does at times hurt my hands. So thought gloves might be a good idea. 228 lb – I think it is time for a new dress or two. If you know me, you know that I have way more dresses than a woman needs but they are just too pretty, practical and fun. 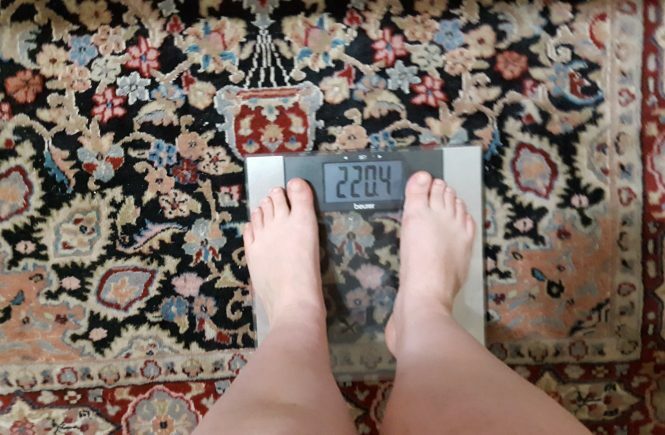 223 lb – As this is the 30 pound mark, I want to celebrate in style, quit literally. Therefore, my 30 pound reward is to get my hair done. My favorite hairdresser is really expensive so it is a once a year treat (if not more seldom) but I would love to go back to my short hair. I knew, I had gained weight and above number is way higher than what I stated last time but I just learned that it matters where you set your scale. Where I have been setting it roughly takes off 20 pounds so I did not gain that much but it just gives me a more true look at what I weight. I, therefore, now have to weigh myself in the kitchen where there are tiles and not wood or carpet. Bummer, for my confidence but looking at the true numbers is more important. As I get closer to my 100 pound goal, I am sure the results will have to adjust slightly but for now, I know I can loose 30 pounds without too many concerns and I will go through the results as I get closer to my 100 pound goal. I am really excited to reach my goals and I hope you will be with me along the way, cheering me on, go for a run or simply share your most delicious healthy recipes. Week 35: New Year, Should It Be A New You? Week 35: has me thinking. I work in marketing and every year in January they all have the New Year, New You promotions going on. I came to thinking… it is not really about a new you but simply improving who you already are, no? I think, I am pretty great. I am a good person, I care about others, I love my husband, my family and friends and I take my job seriously and make the most of it even though it is not my favorite job. So all in all, I am not a bad version of myself. However, there might be room for improvements. So should it, instead be Line 2.0? Sorta like an upgrade? I do not think it is a bad idea to put the past year into perspective to see if there is something you would want to do differently, change or upgrade. We are not perfect, we are humans after all. I have therefore been thinking about the past year, the good, the bad and the really ugly and I encourage you to do the same and comment below with your thoughts, ideas or even if you think there are things I need to improve on or things that I am succeeding in (flatter will get you everywhere 😉 ). I started taking my health more seriously. I went to the doctor and I followed her instructions which actually got my cholesterol to a good place (still room for improvement). I should continue this interest and involvement with my own health so I have already made a list of doctors I need to reach out to. I need to find myself a good Gynecologist (if you know of anyone in New York, let me know), I need a new psychologist (they have to specialize in Childhood Abuse, so this one might take a while and a few tries), I need a new dentist, I am REALLY uncomfortable with dentists so I need someone who is not mean and who takes into account that I will be deathly scared of him/her and lastly, but not least, an ophthalmologist (yeah, I had to google that name, no way I could spell that without looking it up first). I have NEVER had my eyes checked so I should probably get on that, since both my parents wear glasses and both have challenges in that department. If any of you live in or have lived in New York and have great recommendations please let me know (you can comment or message me). Mike and I have really focused on being there for each other and it is paying off. I do not think, I have ever been this in love with my husband as I am currently. It is the best and strangest thing ever. The love just seems to continuously grow. I remember growing up everyone would say that you simply just get to the comfortable stage and “falling in love” turns into “love”, I feel like we are still falling, which I am so excited about. LOVE YOU! Honestly, I tend to be a bit of a b**ch. I say this in the nicest way possible but I have at times been selfish and I have not really had the energy to deal with people, especially people that demands too much of me. It has been a year with a deep depression (hence the need for a new psychologist) and therefore the energy simply has not been there. This means that friends have been neglected, family has been neglected (or some of you and I should personally apologize to my father as I have not really been able to be there for him). This is something I hope, with my active changes for the year (eating based on what gives me energy, getting my vitamin D levels up, seeing a psychologist regularly, again, and keeping up with my exercises should help me be less b**chy and have more energy for people who really deserves my attention and love. So there you have it. My game plan for 2017. Keep up with my health (physically and emotionally), spread the love and stop wasting positive energy on things that does not really matter. I hope you can all keep me to it and would love to hear what 2017 might look for all of you. Week 11: It has been a while since last. Times at work got crazy so I prioritized my husband and my work outs in my spare time. It seems to have worked out. I am now at 226.4lb (102.5kg) which is a loss of 7 lb (3.2kg) from 3 weeks ago. The week after I got back from my mini vacation was a little tough so I must admit that the 6 of the 7 pounds have come off the past two weeks but hey nothing is perfect. One of the reasons I started this journey was due to my health. I am not deadly ill but I do have among other things high cholesterol which is one of the main causes of heart diseases. The number 1 cause of death in America. I don’t want to be a statistic and looking at my family’s health I could very easily become one. My parents are not too healthy and I have certainly inherited some of their habits. 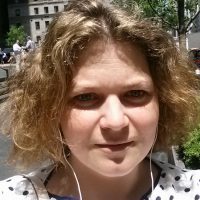 Habits which I am trying hard to break but that is not what this post is about. I wanted to give some information about cholesterol. I do not think people are aware or want to be faced with what it means to have high cholesterol. And there certainly are many myths about it. High cholesterol aren’t only seen in overweight/obese people. It can hit anyone especially if they have high amounts of fat intake. Because overweight and obese folks (like myself) would not get to our size without eating a lot of fats in our diet you will see an increasingly high number of overweight and obese people with high cholesterol. I got myself into this mess by not controlling my binges, which was usually a combination of ice cream, cake, nutella on bread or cookies. So yeah, there you go. ALL sugar at fats. It tasted good though but those days have to be over. Cholesterol is a waxy substance that comes from two sources: your body and food. Your body needs some cholesterol to make hormones, vitamin D, and substances that help you digest foods. Cholesterol travels through your bloodstream in small packages called lipoproteins. These packages are made of fat (lipid) on the inside and proteins on the outside. Two kinds of lipoproteins carry cholesterol throughout your body: low-density lipoproteins (LDL) and high-density lipoproteins (HDL). LDL cholesterol sometimes is called “bad” cholesterol. A high LDL level leads to a buildup of cholesterol in your arteries. HDL cholesterol sometimes is called “good” cholesterol. This is because it carries cholesterol from other parts of your body back to your liver. Your liver removes the cholesterol from your body. This is a great sum up of Cholesterol from the National Heart, Lung and Blood Institute but they don’t mention what the fat is. When you get your cholesterol measured by the doctor. They look at 3 numbers. The LDL (which should be less than 130mg), the HDL (which should be above 46 mg) and lastly the triglycerides. Triglycerides are a type of fat (lipid) found in your blood. When you eat, your body converts any calories it doesn’t need to use right away into triglycerides. The triglycerides are stored in your fat cells. Later, hormones release triglycerides for energy between meals. If you regularly eat more calories than you burn, particularly “easy” calories like carbohydrates and fats, you may have high triglycerides. Triglycerides needs to be less than 150. I believe in Denmark the doctor usually only gives you one number, HDL Ratio which is a combination of 4 numbers. Your total cholesterol, HDL number, LDL number and your triglycerides. If you have slightly high LDL but still high HDL, you might show up with high cholesterol but since your HDL (the cholesterol that takes away fats) is high you are technically not at high risk of heart diseases so I urge you to ask your doctor for the specific numbers so you have an idea of what number you need to work on and how serious it is. Personally, my numbers are not in my favor. My HDL is low, my LDL is not high but on the edge and I have a very high amount of triglycerides. Which means I have an excess amount of fat in my bloodstream but not enough HDL to take it away which means my LDL is on the rise (which is what can cause plaque in your arteries, and then lead to heart disease). I need to reverse this trend. That means, try and stay away from binging as best as I can and eliminate high fat foods from my kitchen. This of course, also, means that I need to loose weight so my liver understands that it does not need to keep feeding my body cholesterol. When I learned about how the cholesterol makes vitamin D in your body and how cholesterol comes into your bloodstream, I had an aha moment. I have had a long period of depression, unusually long for me, I knew I had to check my vitamin D levels (Vitamin D is what helps keep us in a good mood, for example when summer comes around and the sun is out it lifts your spirits. You feel lighter and more happy. This is because the sun is feeding you vitamin D). And sure enough, I am almost at the deficiency level of (only 1 point off) vitamin D. So my binges have not been psychological as I always had thought they were but more likely they were physiological. My body was screaming for more vitamin D so I feed it high fats to create more cholesterol so it could create more vitamin D. Needless to say, I have now started on a high dose of vitamin D. Hope this will help on everything. Still have to go to the gym and watch what I eat but perhaps I can get a little more control over my binging. Crossing my fingers that I might be right. I might not have an eating disorder after all. This sorta excites me. I recommend if you discover that you have high cholesterol. Do not hesitate to ask your doctor ALL the questions you can think off and perhaps they know of a good website to go to for more information. I am happy that my doctor is not the type that pushes for medication but rather more natural remedies (exercise, low fat diet, fish oil and vitamin D was her prescription). If I work hard at my diet and my weight, she will check my numbers again in 3 months and if I can prove that with some Vitamin D, fish oil (helps on cholesterol), exercise and a healthier diet that I can move the needle on my numbers, she is fine with not prescribing any medication. In fact it seems to be her first choice. If you like me, can’t control your binges. You have worked on your mental health and feel like you have worked through most of your major issues then you might want to check your vitamin D levels. Especially, if you are in a location where there are more seasons. You might not get enough vitamin D from your foods or the sun. I was naive enough to think I did. Feel free to comment or reach out if you have any questions. I am not an expert but I have gotten a good sense of where to look for helpful information. But always as your doctor if you can. Come join me finding adventures! I need distractions while I discover the balance between a fun and adventurous lifestyle while trying to lose weight. I’m Starting My Own Business! Where do we find inspiration to keep going?